This practical guide to understanding the cranial nerves as the key to our psychological and physical well-being builds on Stephen Porges's Polyvagal Theory--one of the most important recent developments in human neurobiology. Drawing on more than thirty years of experience as a craniosacral therapist and Rolfer, Stanley Rosenberg explores the crucial role that the vagus nerve plays in determining our psychological and emotional states and explains that a myriad of common psychological and physical symptoms--from anxiety and depression to migraines and back pain--indicates a lack of proper functioning in the vagus nerve. 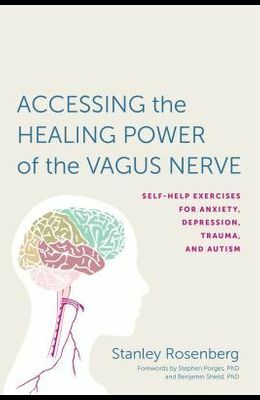 Through a series of easy self-help exercises, the book illustrates the simple ways we can regulate the vagus nerve in order to initiate deep relaxation, improve sleep, and recover from injury and trauma. Additionally, by exploring the link between a well-regulated vagus nerve and social functioning, Rosenberg's findings and methods offer new hope that by improving social behavior it is possible to alleviate some of the symptoms at the core of many cases of autism spectrum disorders. Useful for psychotherapists, doctors, bodyworkers, and caregivers, as well as anyone who experiences the symptoms of chronic stress and depression, this book shows how we can optimize autonomic functioning in ourselves and others, and bring the body into the state of safety that activates its innate capacity to heal.